How can the humanities help address sea level rise? The National Endowment for the Humanities (NEH) has chosen FIU’s History Department in the Steven J. Green School of International and Public Affairs (Green School) as the only Florida recipient of a Humanities in the Public Square grant. The grant funds a series of public events, programs, and conversations showing how the humanities can help us come to terms with the threats to Miami from climate change. Led by Merleaux and Rebecca Friedman, faculty fellow at FIU’s Office of the Provost and director of FIU’s Polish Lecture Series, FIU will team up with HistoryMiami Museum, the Wolfsonian-FIU, The Kampong, Vizcaya Museum & Gardens, Miami-Dade County Public Schools, Catalyst Miami, and the FIU Green Library Digital Collections Center. The project will feature faculty experts from the Green School, the College of Architecture + the Arts and the College of Arts, Sciences & Education. A total of seven events will feature literary and religious studies experts, historians, philosophers, geographers and other scholars sharing their perspectives on risk, fear, hope and resilience, among other themes related to sea level rise and climate change. The program will kick off with a symposium April 8 at HistoryMiami Museum, 101 West Flagler Street in downtown Miami, featuring a keynote panel; a discussion on diversity in environmentalism; and a gallery tour. The symposium is scheduled from 1 to 6 p.m. and is free and open to the public. Space is limited and registration is required. 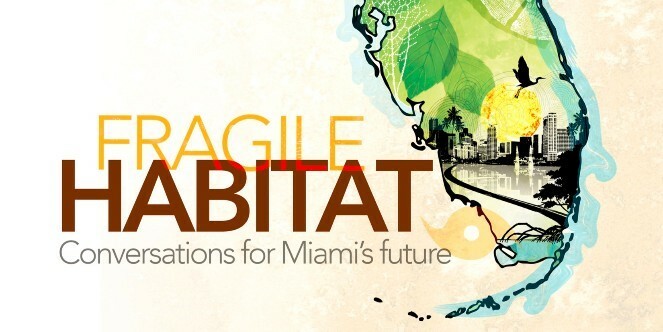 Visit bit.ly/fragilehabitat to register. Other events will explore topics ranging from mango trees to art, and will take place across Miami-Dade County. The project includes museum exhibits, an online archive, a professional development session for Miami-Dade County Public Schools high school teachers, and a course for graduate history students at FIU. The NEH awarded a total of $21.8 million in grants for 295 humanities projects. This round of funding marks the first grant awards made under three new NEH grant programs: Common Heritage, Humanities in the Public Square, and Humanities Open Book. The Humanities in the Public Square program aims to bring together humanities scholars and the public for dialogue on contemporary issues of concern to communities. Institutions and independent scholars in 46 states and the District of Columbia will receive NEH support. For more information on this year’s NEH grant recipients, please visit http://www.neh.gov/news/press-release/2015-12-14.